Inspectors for the South Coast Air Quality Management District on Wednesday were investigating reports of strong natural gas odors in the Downtown Long Beach area, which has been plagued by mystery smells in recent years. SCAQMD spokesman Sam Atwood said the agency on Tuesday and Wednesday received three complaints of recent odors around Downtown Long Beach. On Wednesday afternoon, a strong odor of natural gas could be detected in the area. For the last several years, periodic mystery odors have been reported in Long Beach, Seal Beach and Huntington Beach, and have even prompted emergency evacuations in Downtown office buildings due to the unknown source. 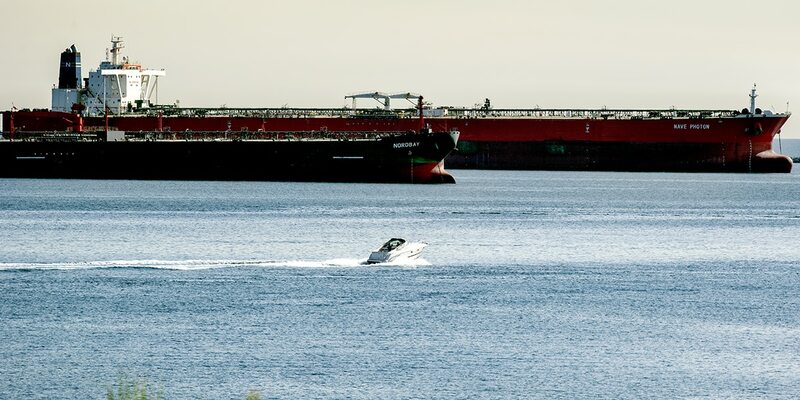 Following a two-year investigation, the AQMD last fall cited a two-million-barrel crude oil tanker off the coast of Long Beach as one potential source of foul orders wafting along the coast. The Nave Photon tanker berthed in Long Beach was issued a violation for fugitive emissions when inspectors found seven out of 10 pressure valves were leaking excessive levels of hydrocarbon vapors, which can smell like rotten eggs or sulfur water. The tanker has since left Long Beach and as of Wednesday was off the coast of Galveston, Texas. The type of violation for the Nave Photon marked the AQMD’s first for a ship. The discovery has prompted a larger ongoing investigation into possible air quality violations for ships in the ports of Long Beach and Los Angeles, Atwood said.